The dizzying diversity of animal life on Earth means that it can be hard to succinctly do justice to each of the animal groups represented in the Museum collections, which include but are not limited to arachnids, crustaceans, insects, molluscs and vertebrates. Extinct groups and fossil members of these groups are held in the Earth Collections. Many of these collections were acquired for teaching use at the University and taxonomic displays. The Museum also holds some more comprehensive research collections focused around specific taxa, which are not currently catalogued in depth. There are 633 specimens in the collection, the vast majority of which are preserved in fluid. The Museum holds around 20 oligochaet type specimens. The arachnid, crustacean and insect collections are covered in more detail on their specific pages. Other athropods – including horseshoe crabs, sea spiders, centipedes and millipedes – are present across the collections. The majority are fluid-preserved specimens. There are 341 specimens in the collection, 268 of which are dry specimens. The vertebrate collections are covered in more detail here. There are 125 cephalochordates, sea squirts and tunicate fluid-preserved specimens in the collection. The Museum holds 2,664 specimens, the majority of which are dry scleractinian corals. 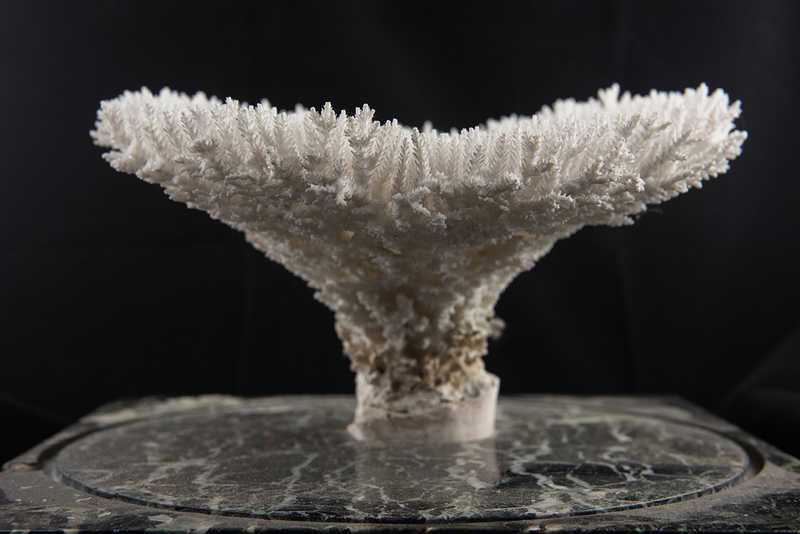 There is also a large collection of corals collected from Port Sudan in the 1970s, including four type specimens. There are 965 specimens in this collection, of which 582 are dry specimens and the rest fluid-preserved. The Museum holds 147 fluid-preserved specimens. There are 457 specimens in this collection, including 222 dry specimens, 228 fluid-preserved and seven models. The collection features eight type specimens. There are approximately 20,000 microscope slides in the collection, including animal, plant and protist material. The collection is a mix of teaching and examination material, as well as research collections such as embryological development specimens related to J P Hill and Gavin de Beer. This collection contains a number of microscopic animal groups otherwise not represented in the collections. There are other animal groups represented by fewer than a hundred specimens each: Acanthocephala, Brachiopoda, Ctenophora, Entoprocta, Hemichordata, Onychophora, Nematoda, Nematomorpha, Nemertea, Phoronida and Priapulida.